Dear Golfdiggers, if you happen to get “sick of the city,” come join our crew! 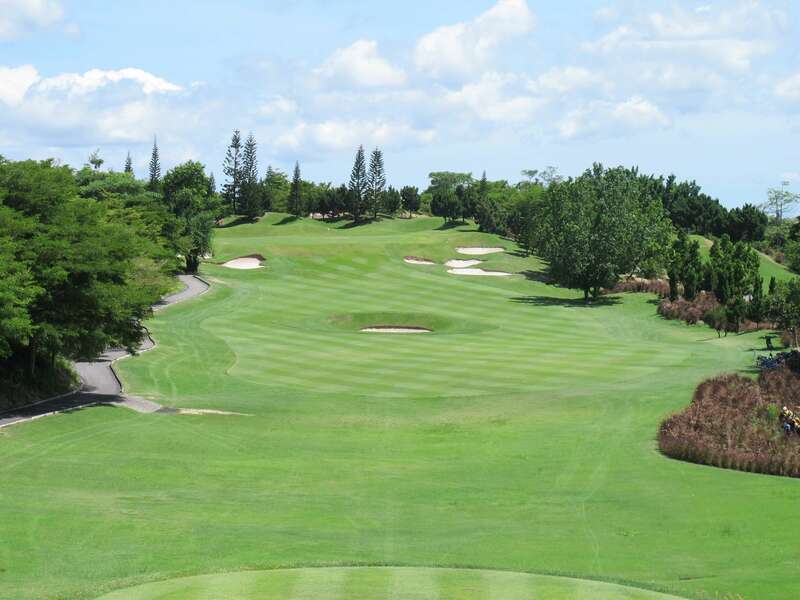 Situated on the top of the mount, Pattavia Century Golf Club is outstanding for its mountain-like layout which gives you such amazing sight to enjoy in every second of your game. Its Tifdwarf green allows your ball to speed up to 9.5. 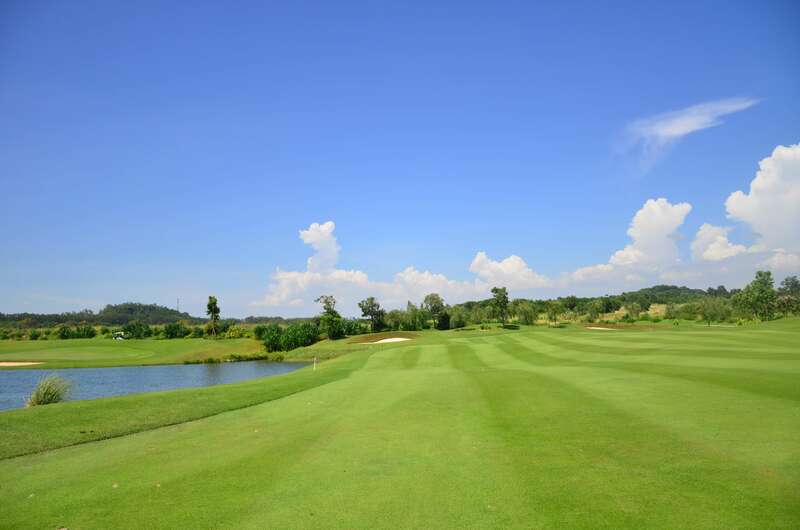 And you don’t need to worry about the puddles, because even if the rain pours, its sloped green with good drainage system will keep the course dry. Oh, and one secret. After a drive, we recommend you try a meal at Jae Tuk Restaurant nearby. 5-flavor Tom Yum noodles, spicy soup, fresh seafood — real ecstasy! 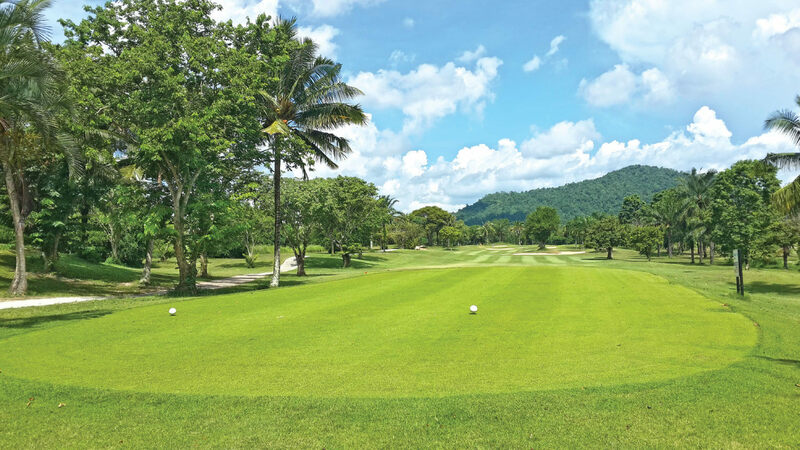 If you have a plan for a happy-family-time vacation at Koh Samed but still feel like swinging for a bit, this is a foothill golf course with natural layout you definitely should check in! 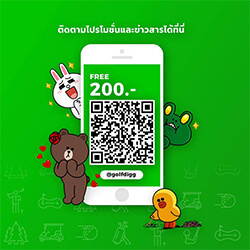 It takes only 2 hours from Bangkok, and 30 minutes from Pattaya. 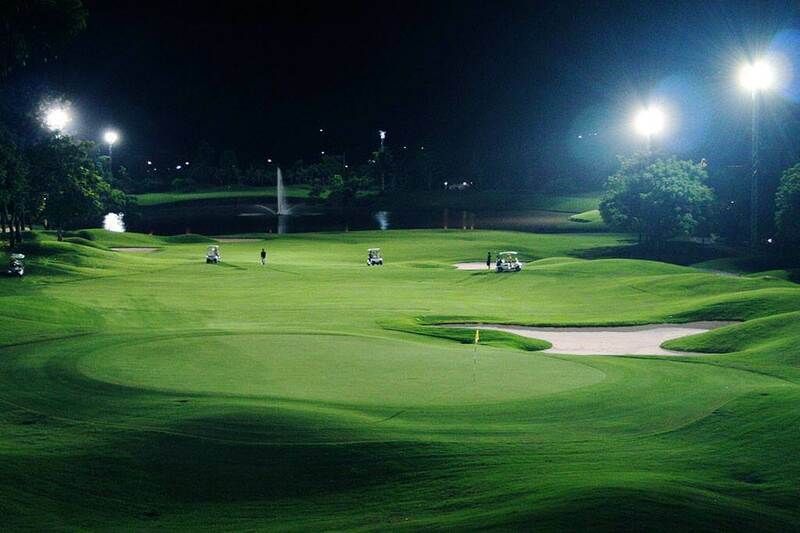 Another golfers’ favorite place is this one—Greenwood Golf Club. 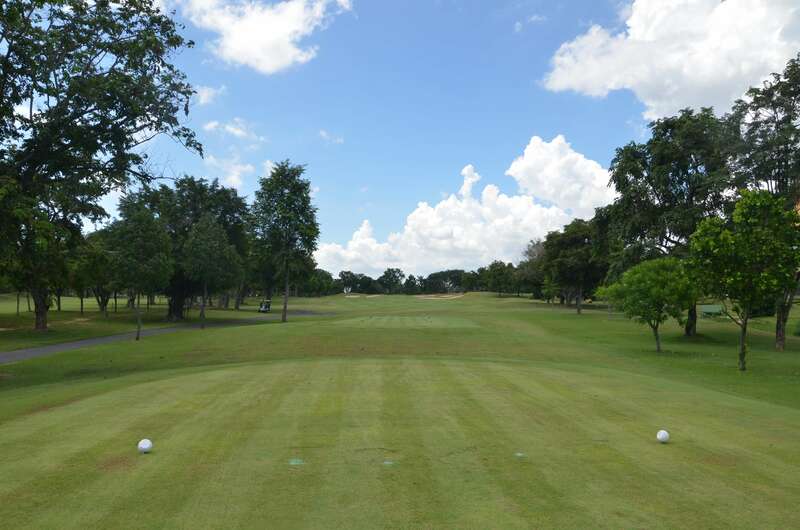 This course has such pleasant ambience and tricky layout. 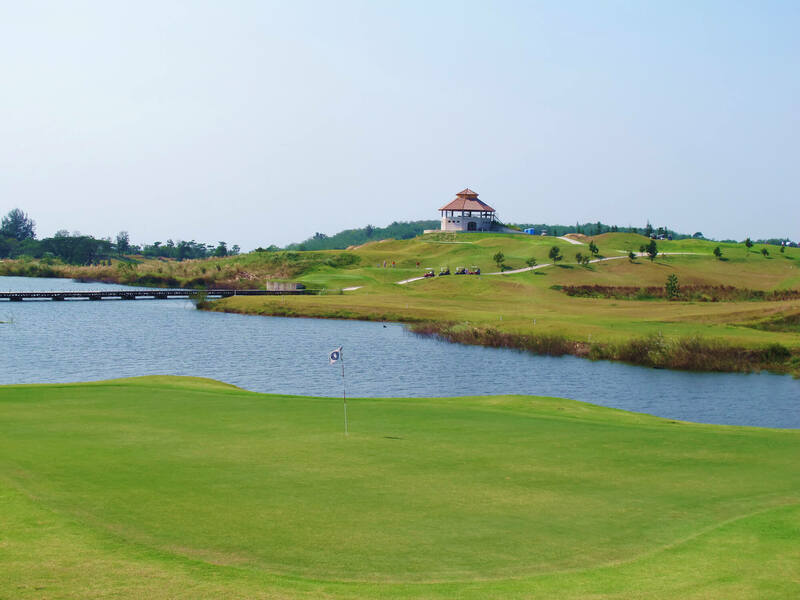 Its signature hole is at par-5, the classic spot where is surrounded by trees and incurved water hazards. 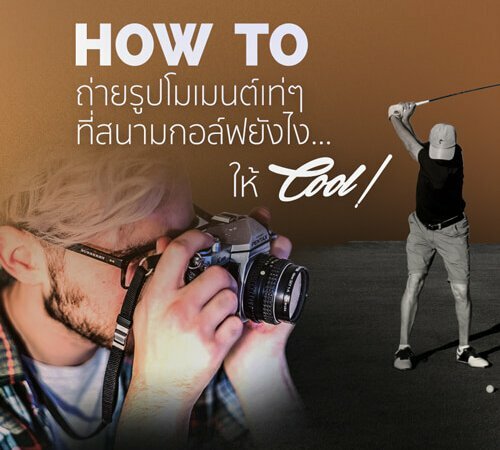 If you wanna chill out testing your skills, this course is absolutely worth your check-in! 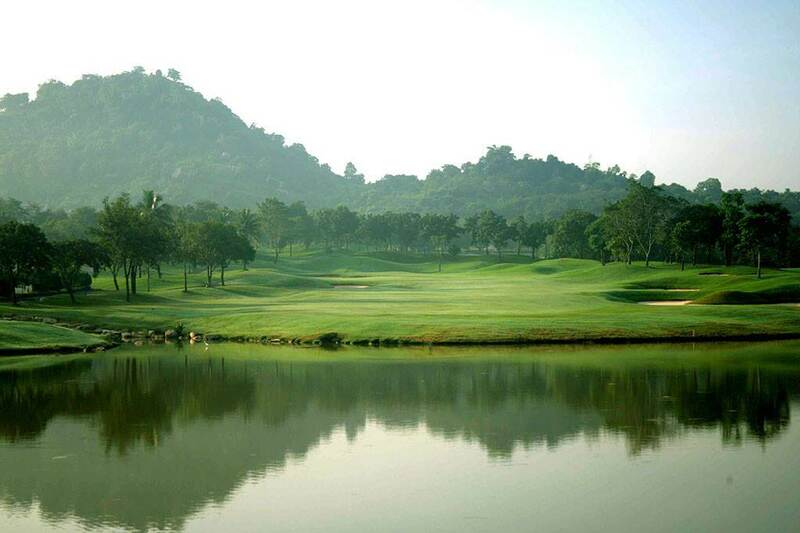 “Mountains, lake, and canyon” are the 3 signatures of Laem Chabang International Country Club. 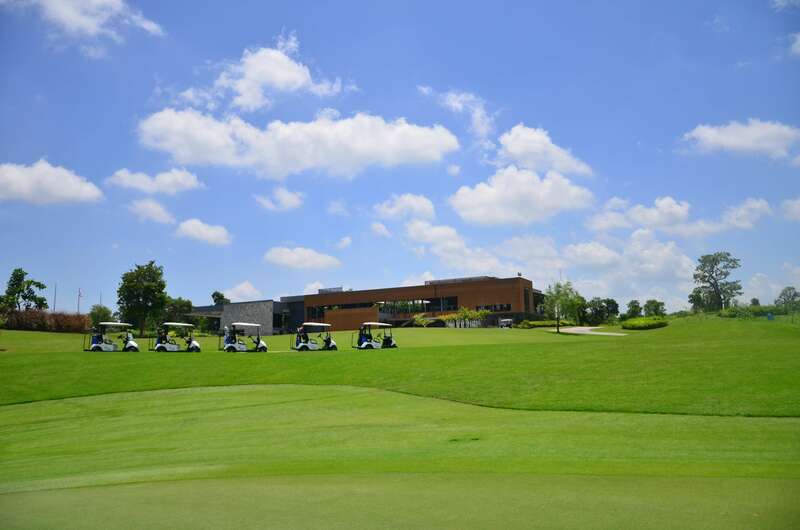 This 27-hole golf course designed by Jack Nicklaus is located in Sriracha district, about 120 kilometers away from Bangkok. 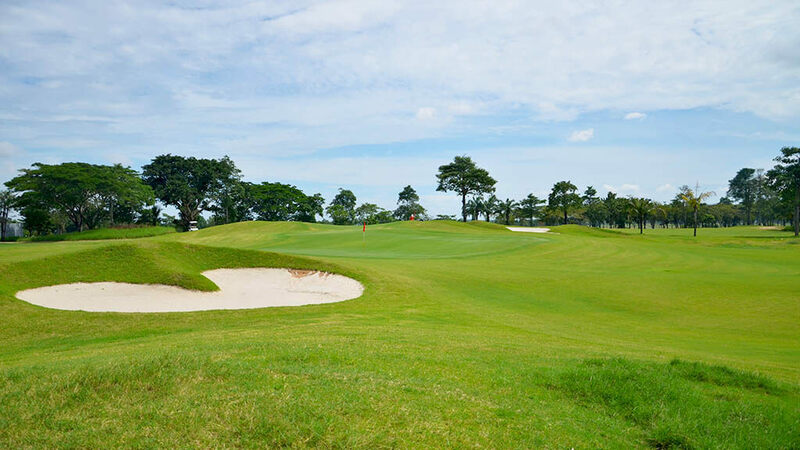 It’s said that wavy fairways and greens of this place are real challenges for real golfers! 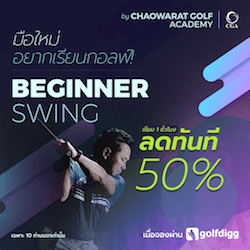 So if you’ve had enough of seaside activities in Pattaya, you can stop by for a round at this club and then go back to the beach in no time. You know when the place is ‘waterside’ that it will absolutely have gorgeous view with good breeze. 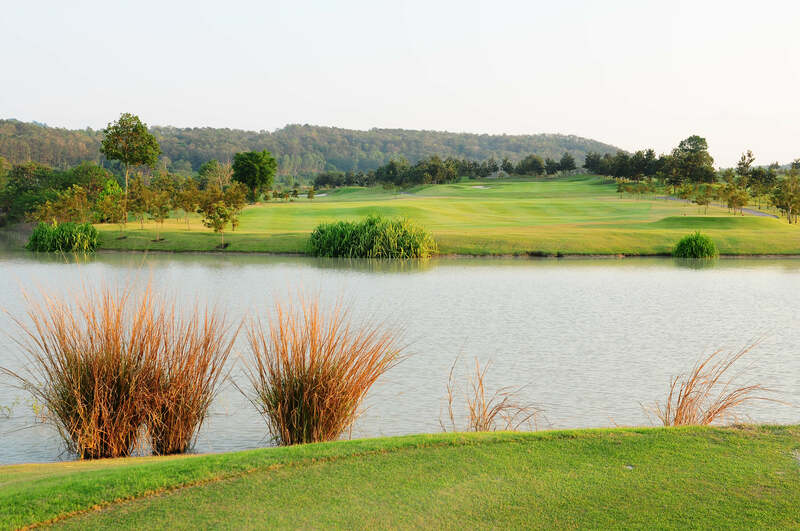 And this course, Siam Country Club Pattaya Waterside, is even designed by IMG Golf Course Design which is the world’s renowned company. But since this is an open-air golf course, the wind will be your rival. Wanna show your perfect putt? Make sure to check in! “Small yet superb” may be the best expression to describe this course. 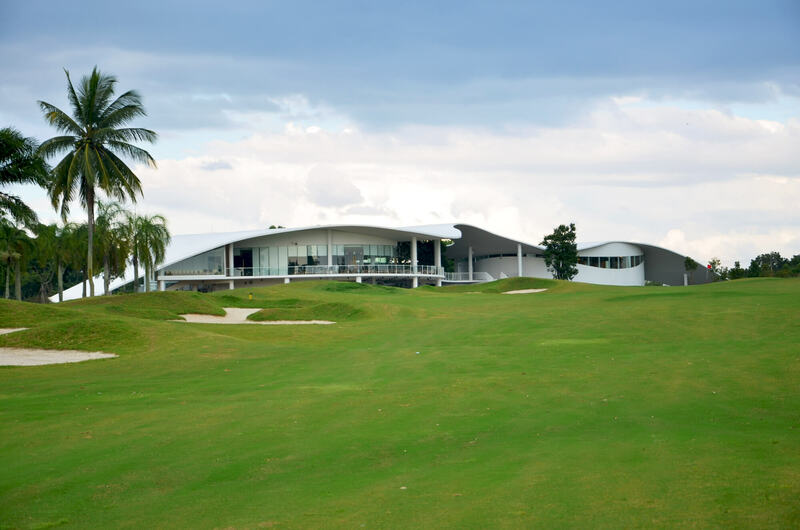 Though Silky Oak Country Club is not a huge place, the design team has made it super unique and outstanding using the best of its every-single-square-inch, creating such a charm that attracts most golfers to keep coming back. Among nature stands this amazing pier resort welcoming you and your family to indulge in. 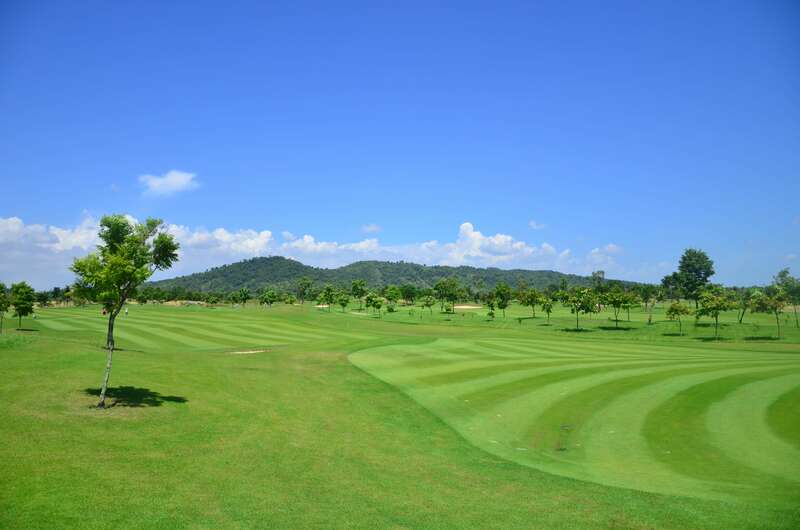 Besides its extremely pleasant vibes, Pattaya Country Club also has the world’s standard golf course with full amenities waiting for you to show your awesome performance. Isn’t this just amazing? Let’s get everyone ready, and go to Bang Lamung! 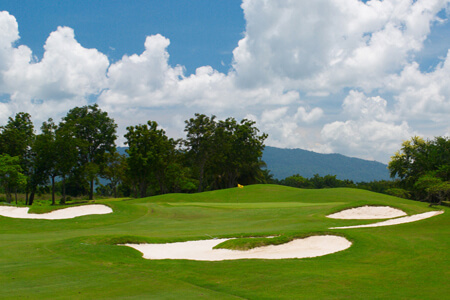 St. Andrew 2000 is a picturesque golf course with mountain layout, and full of surprises and excitements. 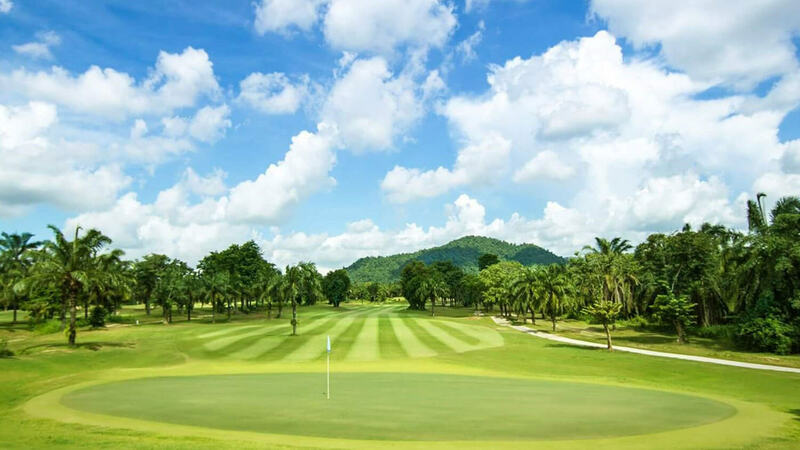 It’s the only place in Thailand where you can challenge yourself against 2 par-6s while indulging in such a breathtaking view of the course. You can spend the morning going on a round, then chill out by the beach in the afternoon. Single, taken, married, it doesn’t matter. We assure that you’ll enjoy this place so much you’ve gotta come back again! 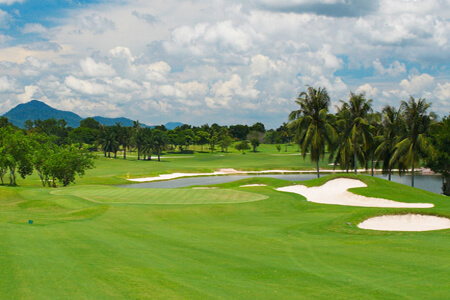 Pheonix Gold Golf And Country Club is a 3-in-1 excitement for its 3 different styles of scenery. 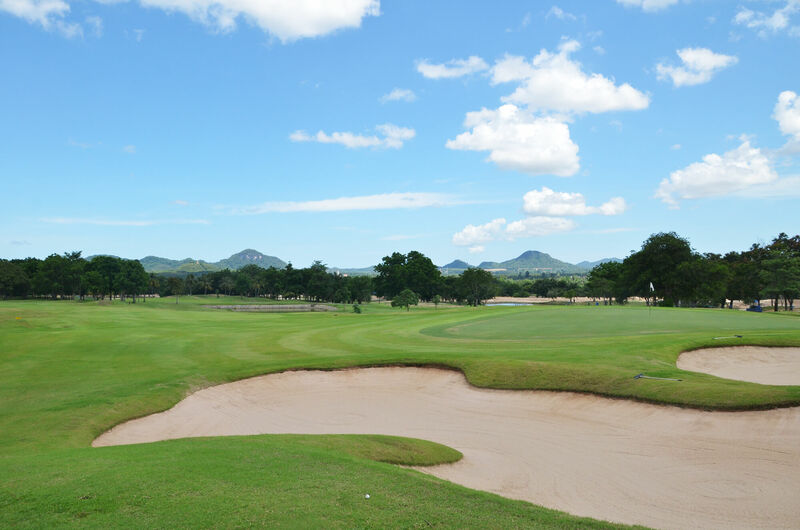 The ocean, lake, and mountain course — each one has its own highlight, especially the ocean course where you can relish Pattaya sea view, and the mountain course where you can spot a buddha mountain carving of Khao Chi Chan. Maybe after a round, you can also bring your family there to worship for good luck. 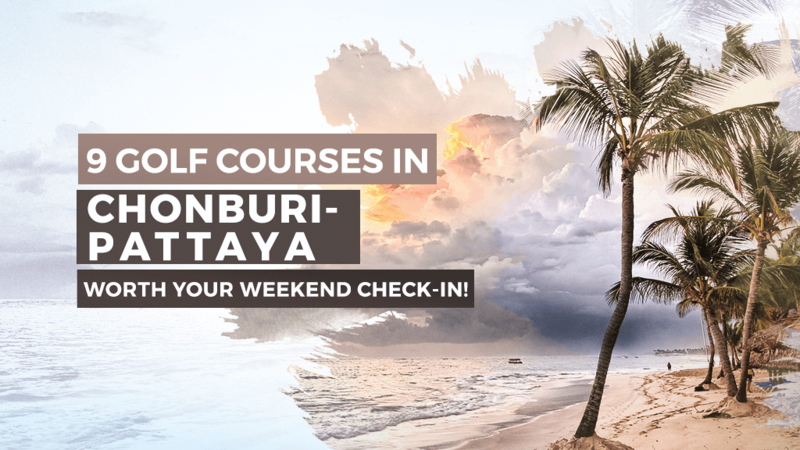 For any golfers seeking courses near your next destination besides Pattaya – Chonburi area, let Golfdigg help you! 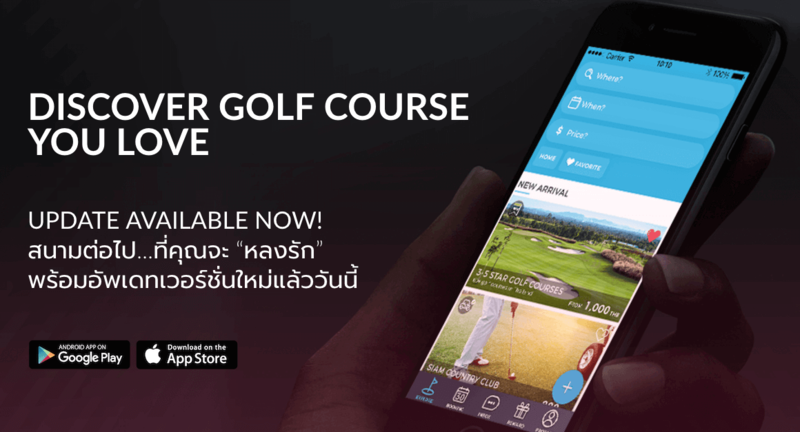 You can easily search for courses by typing in a location or area you’re looking for on Golfdigg main page, then there go the courses at your fingertips! Make sure you download Gofdigg, because there are many more privileges to come!! !